Cylinders From Aqua Heat In Hereford & Ross On Wye, Herefordshire. Aqua Heat is a leading retailer of cylinders with branches in Hereford and Ross On Wye, Herefordshire. 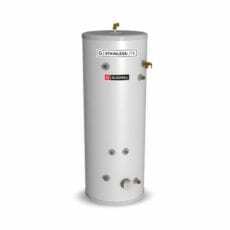 A hot water cylinder is used within domestic and commercial buildings to provide a copious supply of stored hot water. Cylinders are manufactured in two distinct styles, either as an unvented cylinder that work off mains pressure water, or the vented cylinder, otherwise known as a ‘gravity fed hot water system’.